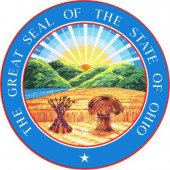 The nursing jobs available in Ohio can be broadly classified under three categories: certified nursing assistant (CNA), licensed practical nurse (LPN), and registered nurse (RN). CNAs provide basic nursing and rehabilitation care for patients in nursing facilities. LPNs also perform basic care but have an expanded job scope that includes dressing wounds, collecting samples for routine laboratory tests, and monitoring vital signs. The RN position is the most advanced nursing role, ideal for students interested in playing an independent role in administrating critical patient care. Aspiring CNAs and LPNs can enroll in a state-approved certificate program. CNA programs are very short (typically several weeks in length), while LPN programs require 12 to 18 months of study. Prospective RNs have four distinct pathways to qualification: a hospital diploma, an associate’s degree, a bachelor’s degree, or a direct-entry master’s degree. Ohio is home to many notable four-year colleges and universities offering bachelor’s and master’s degrees in nursing, including University of Toledo and University of Cincinnati. According to the Bureau of Labor Statistics, there are more than 69,000 CNAs, 39,000 LPNs, and 124,000 RNs working in Ohio. Salaries correlate with length of education: CNAs earn a median of $23,740 annually, LPNs earn $40,120 per year, and RNs receive over $60,000 in annual compensation. Graduates can seek employment at a range of prominent Ohio healthcare providers, including Maxim Healthcare Services, Mercy Health, and Cleveland Clinic. To help prospective students, we have compiled below a complete list of Ohio’s four-year colleges and universities that offer accredited, state-approved nursing programs.